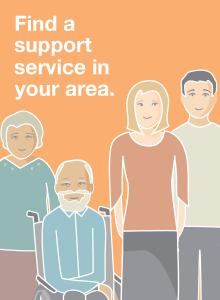 There are about 9,000 spaces across Alberta for individuals with higher health and/or personal support needs. Like lodges, designated supportive living (DSL) offers a wide range of accommodation supports including meals, housekeeping, linen and recreational services. Individuals may need help because of physical mobility or cognitive functioning issues. Home care resources are on-site 24 hours per day, 7 days per week. Support is primarily provided by health care aides but for individuals who need it, licensed practical nurses are also onsite 24/7 at many sites. All staff at designated supportive living (DSL) sites work under the supervision of a registered nurse who may or may not be onsite. DSL 4 – individuals require 24/7 health care aide and licensed practical nurse support due to chronic health conditions and physical mobility challenges and may also have mild to moderate cognitive function issues. DSL 4 Dementia – individuals require 24/7 health care aide and licensed practical nurse support due to severe cognitive function issues. Individuals may also have chronic health conditions and physical mobility challenges.